-- Mona Berman is an expert at Happily Ever After – after all, she’s a best-selling Romance writer and happy endings are what she does best. So when her husband of twenty years leaves her for somebody 15 years younger, 20 pounds lighter, and French, she’s got a lot of adjusting to do, both personally and professionally. Lucky for her she’s got three savvy teen daughters, a few good friends, and Ben, the world’s sexiest plumber, to help her along the way. First she decides that her next book will be the anti-romance – her heroine finds the best part of her life AFTER getting dumped. Next her daughters tell her she needs to start practice dating, and summer at the Jersey shore is the perfect place for that. She’s also juggling her soon-to-be-ex, a loony aunt, and a match-making neighbor, while Ben is sending her romance-driven imagination into overdrive. Can Mona’s life imitate art? Can she write her own happy ending? 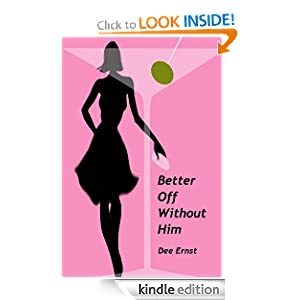 Better Off Without Him or to sample this book for FREE! -- Jake Reese is a writing teacher at an American university. He lives in a small brick Tudor close to campus with his art buyer wife, Diane. His life is quiet-Ordinary even. And he likes it that way. But it wasn't always quiet. Jake's distant past was a life on the streets, inflicting damage and suffering on more people than he can count. And now someone from his past, it seems, has come looking for him. 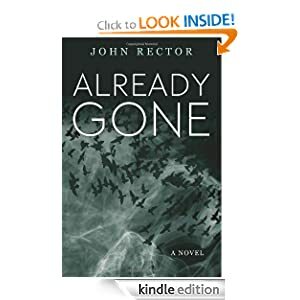 A raw, gripping thriller about the price paid for past sins, John Rector's third novel is a live wire that crackles with the intensity of a man who has nothing left to lose. When two men attack Jake in a parking lot and cut off his ring finger, he tries to dismiss it as an unlucky case of being in the wrong place at the wrong time. But when events take a more sinister turn and Diane goes missing, Jake knows he can no longer hide from the truth. As he embarks on a mission to find his wife, he realizes his dark past is refusing to stay buried, and that his future is about to unfold in ways he could never have imagined. With taut and brooding prose, Rector paints a formidable portrait of a reformed man's slow descent into a life he thought he had walked away from forever. As the intensity becomes almost unbearable, the pace quickens and the suspense applies an unrelenting, vice-like grip, as ALREADY GONE hurtles toward its ultimate, explosive climax. Already Gone or to sample this book for FREE! Modern Day: Kinley hovers on the brink of extinction. An enemy that nearly obliterated their race has risen again-with the ability to destroy them for good. A lone soldier named Pruit is sent on a desperate mission: follow the ancient beacon back to Earth and recover the secrets to faster-than-light travel. Technology that once allowed them to cross vast reaches of space might allow them to outrun their enemies and find a safe world to call their own. Pruit’s quest draws enemies after her and awakens ancient foes on Earth. At every turn she finds adversaries willing to risk everything to stop her, each one hoping to steal the knowledge for themselves. The rivals meet in modern-day Egypt and their struggle alters the fate of worlds. 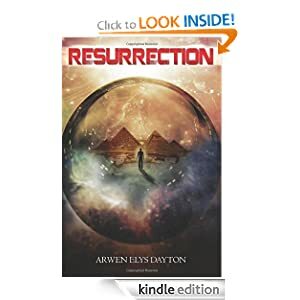 Resurrection or to sample this book for FREE! -- When Helen Francis was a child, her mother died and her father walked out, leaving her to be raised by her older sister. Now thirty-five, married, and trying to start a family of her own, Helen has moved on but never really healed from her traumatic childhood. She has always believed that a new baby would help fill the loss of what was taken from her at such a young age. After four years of trying to become pregnant, however, she is resigned to the fact that she will never be able to bear children. Halfheartedly accepting adoption as an alternative, Helen gradually embraces and grows excited over the prospect. And when her new baby is finally in her arms, true happiness washes over her. But her unimaginable bliss is dashed when she learns that Claire, the sister who raised and loved her throughout her childhood and adult life, has been diagnosed with cancer. For Helen, the pain of her childhood returns and the old wounds of abandonment are once again torn open. Balancing the joy of her new daughter with the painful experience of watching her sister, the physical embodiment of unconditional love in her life, slowly die, Helen must reconcile her inner feelings and heal her broken spirit. A heart-wrenching exploration of the ties that bind us and the lasting pain of childhood loss, Daughters for a Time is about longing for a family to heal a broken heart, experiencing unconditional love as a parent, and finding solid ground to stand on when suffering and elation have equally powerful holds on our life. Daughters for a Time or to sample this book for FREE!